Note: for extremely stressed and damaged hair, repeat step 2 (acidify) and step 3 (reconstruct) up to three times for maximum results. K-PAK Hair Repair System provides you with the strongest, healthiest-looking, shiniest, most beautiful and manageable hair you can ever imagine! Resilient curls, radiant color, lasting body! Revive and rebuild hair from the inside out. Reduce breakage as tensile strength is restored and porosity is equalized. For shinier and more vibrant color that lasts longer. Make texture and straightening services look better and last longer. Get smoother, softer, shinier hair with replenished hydration levels. 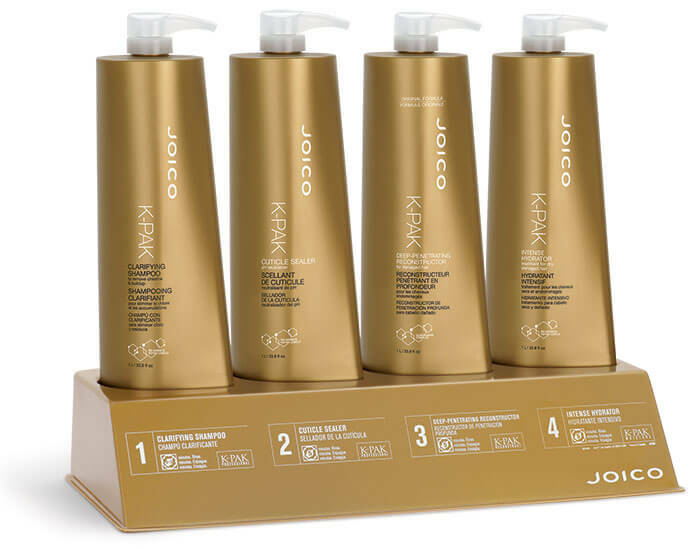 Hair with more body and life making more responsive to styling with longer-lasting styles. Revive hair, making it more resilient with long-lasting shine.